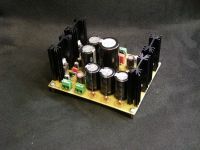 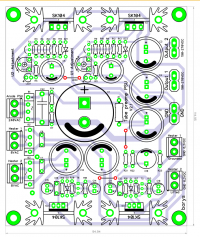 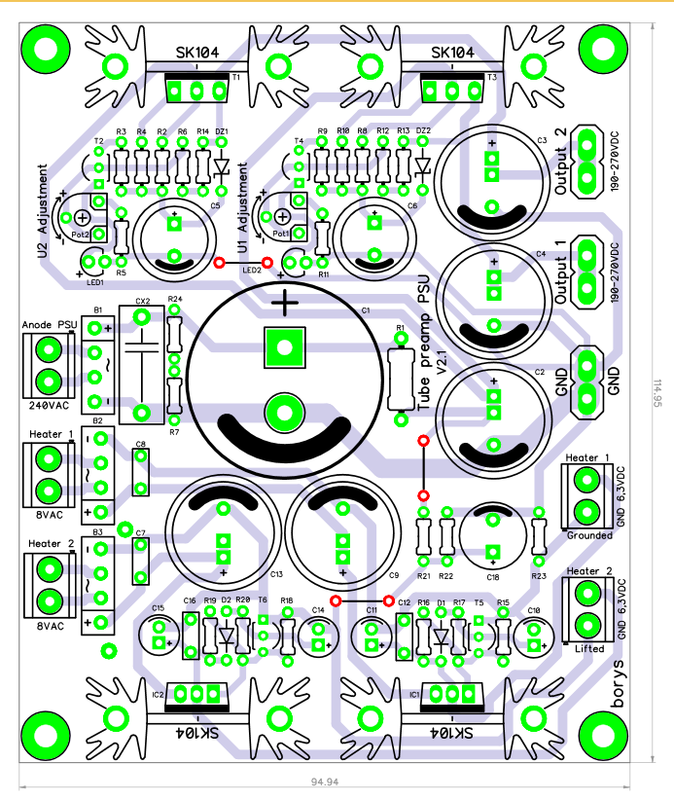 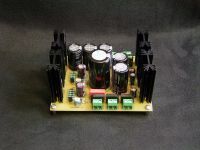 This is second revision of my PSU for vacuum tube preamplifier. 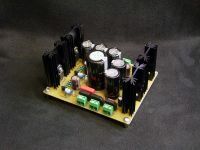 PSU have two separate, regulated HT outputs and two fixed 6,3VDC heaters with soft-start (to extend heater element life). 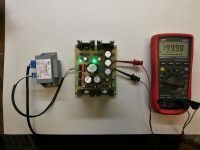 One heater voltage is referenced to main GND and the second heater is lifted. 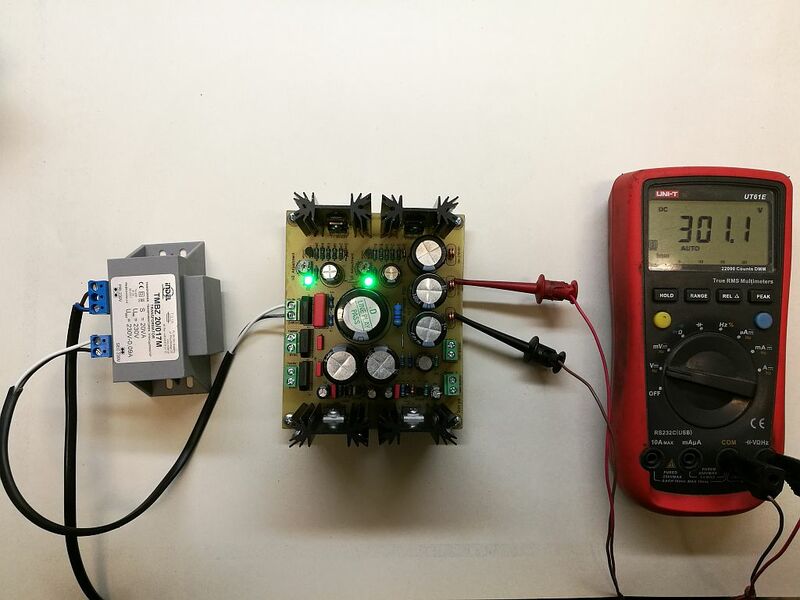 Circuit is very simple and provides very good anode voltage filtering (around 80dB in audio range). 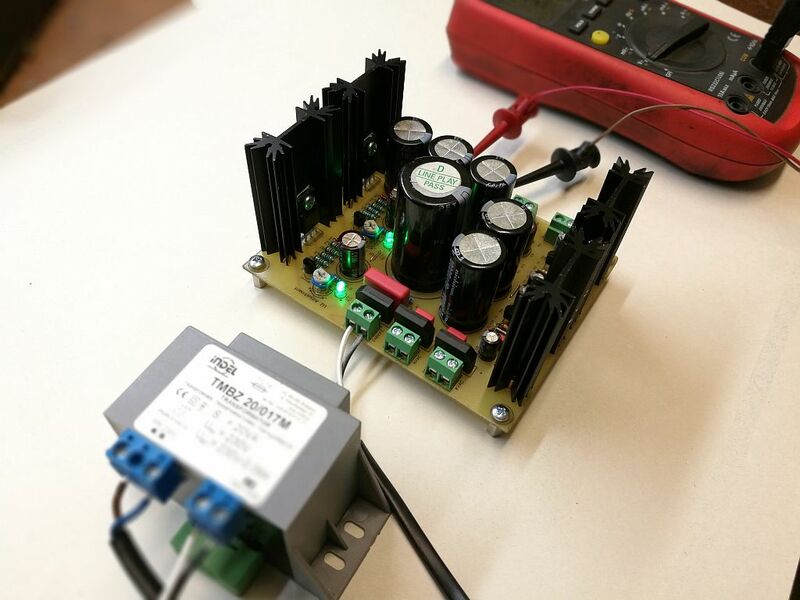 Linear voltage regulation mean power loss, this mean heat !! 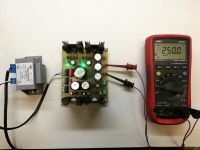 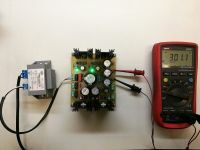 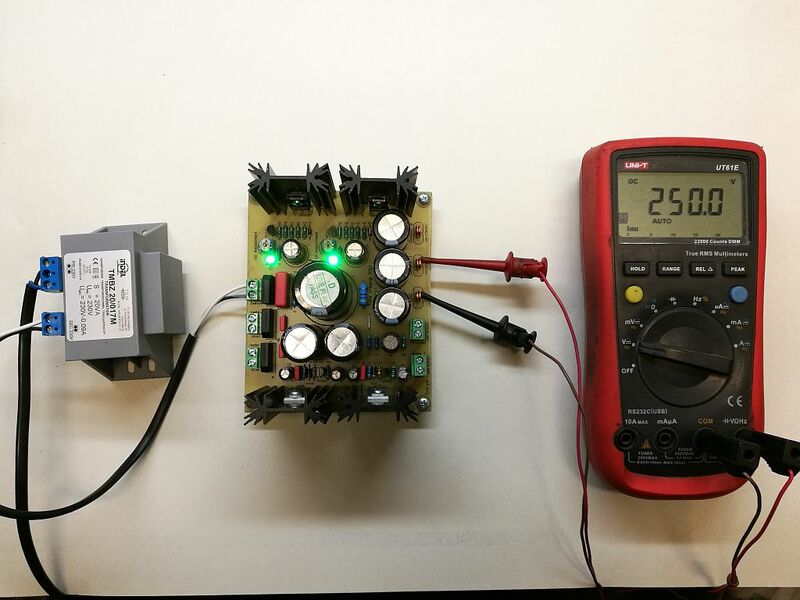 It is very important to calculate power loss requirements, the higher the voltage drop across PSU regulators and the higher the current means more heat. 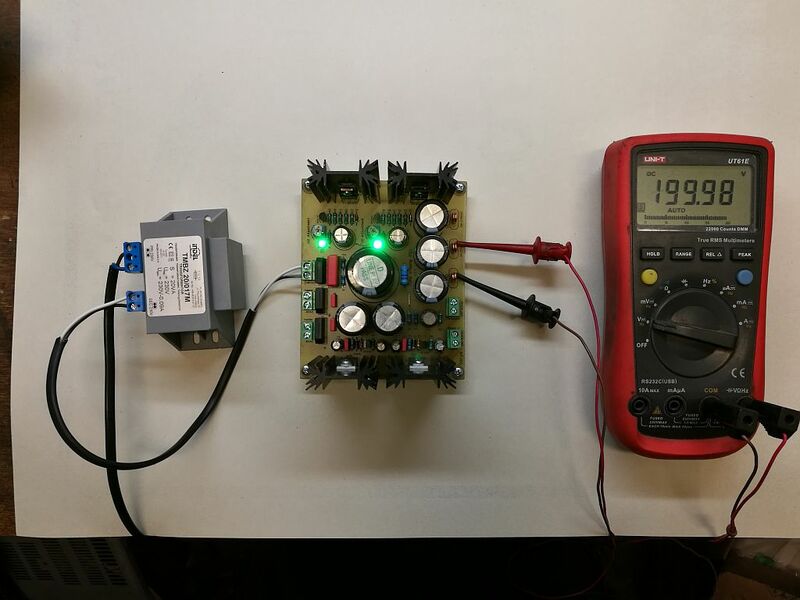 Please chose anode voltage transformer wisely and do not draw more than 1A current from each DC heater circuits. It will be highly recommended to putt some small heat sink on the heater bridge rectifiers.